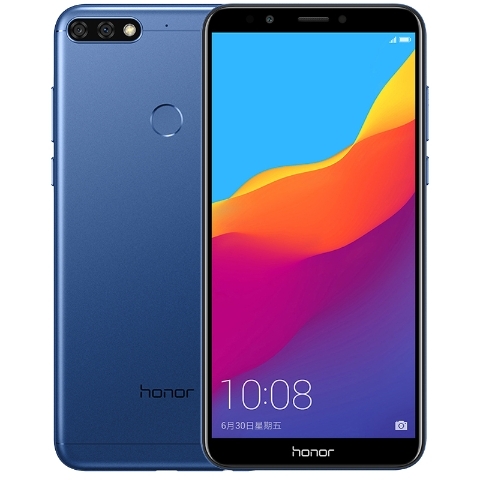 Honor today launched Honor 7C Smartphone in China. it comes with FullView Display and Dual Rear Camera. Honor 7C has a Metal body, Fingerprint Scanner on the Rear, It has a 5.99-inch (1440 x 720 pixels) 18:9 FullView 2.5D curved glass display Powered by 1.8GHz Octa-Core Qualcomm Snapdragon 450 processor with 3/4GB RAM and 32/64GB of internal storage. On Camera, it has a 13MP+2MP Dual Rear Camera and 8MP front-facing camera.Sensors on Honor 7C include Gravity sensor, Light sensor, Proximity sensor, Fingerprint sensor and Compass. Honor 7C has face unlock and dedicated dual SIM with micro SD slot. Packed with 3000mAh battery. Honor 7C come in Black, Gold, Red and Blue colors priced at 3GB + 32GB 899 yuan, 4GB + 64GB 1299 yuan. Sale from March 13.